Goodreads says, "She was America's sweetheart; the embodiment of grace, elegance, style, charm, and-as the world discovered in late 1963-bravery. And though much has been written about the most famous woman of the 20th century, no biography has revealed the true Jackie; none has successfully separated the truth from the lies, or portrayed the Queen of Camelot in all her complexity-until now. 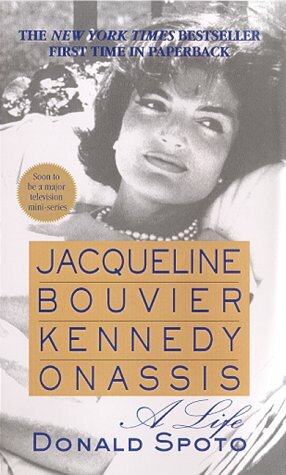 With access to Jackie's own writings, the archives of the John F. Kennedy Library, and those who knew her best, bestselling celebrity biographer Donald Spoto illuminates Jacqueline Bouvier Kennedy Onassis and the sixty-five years of her life with candor, compassion and compelling detail." I love a good biography and after reading about the new show based on The Kennedy family, I wanted to learn more about Jackie. This biography covers her entire life, not just her time as First Lady, and it is well-researched, informative, interesting, and fascinating. Through Jackie's life, readers will learn and come to admire the way she handled herself in the face of disaster and tragedy. She is truly a remarkable person and Donald Spoto does a wonderful job portraying her as such in his biography, Jacqueline Bouvier Kennedy Onassis - A Life. I loved learning more about Jackie and her childhood and her young adult life. I found myself relating to her in more ways than I ever thought possible; for example, she LOVES to read, enjoys spending time by the sea, adores the arts and is an avid traveler. Any bookish person would appreciate her as she is truly a voracious reader. In fact, Truman Capote went on record saying that "she reads as much as anybody I know and a book a day isn't unusual for her." The biography is detailed throughout the Kennedy years and I was intrigued to learn about her influence over JFK regarding many intelligent matters. 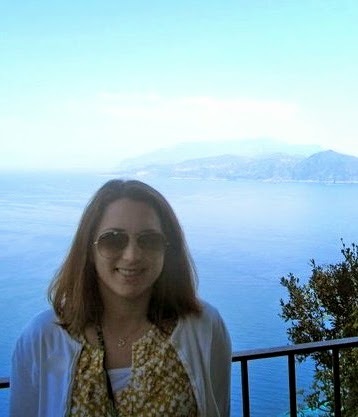 Not only was she charismatic, clever, and adored my many, her fashion sense was also idolized. In fact, I feel even today we are influenced by Jackie's impeccable style with her oversized sunglasses, pants with flats, and scarfs. I was also impressed with her interest in politics. She helped JFK win over many important people as she was so knowledgable of foreign rulers, political history, and many cultures outside of JFK's comfort zone. Jackie dealt with many tragedies in her time and not just the infamous death of her husband, but also an early miscarriage, a stillborn, and after Caroline and John's birth, the death of Patrick, who died only a few days old. How could someone endure such heartache so admirably? And I am not even taking into consideration the many things that occurred afterwards, which many people feel is a result of the Kennedy curse. I admire someone who can carry herself with such class and poise. This is rare since we currently live in a world that glorifies outlandish "Real Housewives" that are famous for behaving poorly. I find her to be not only a role model, but also refreshing and I can see why they referred to her as American royalty. Jackie also decided, after the death of JFK and her second husband, she would pursue her dream of becoming a book editor. Wow! She certainly didn't need to work, but chose to anyway and be a part of something interesting and fun. Once again, I admire that as many people her age, and with everything she has gone through, would just fade into the sunset and perhaps spend their days shopping and living the good life, but she chose to work and keep busy. How could you not respect that? Spoto's writing is captivating. He brings Jackie to life without ever embellishing too much. In fact, reading this biography has sparked an interest in me. I want to read more biographies and I am definitely going to check his biographies on Grace Kelly, Audrey Hepburn, Elizabeth Taylor and Princess Diana. "The good, the bad, the hardship, the joy, the tragedy, love and happiness are all interwoven into one single indescribably whole that is called life. You cannot separate the good from the bad--and perhaps there is no need to do so. After all, I have been through a lot and I have suffered a great deal. But I have had lots of happy moments. And so I have come to the conclusion that we must not expect too much from life, and we must not take things for granted" (page 273). I don't read many biographies, but there's just something fascinating about the entire Kennedy clan and their "curse". I had no idea she read so much and was a book editor, that's is very cool. Thanks for this review Christina! Wow, this sounds like a biography I would really like. I guess I never knew that much about Jackie... 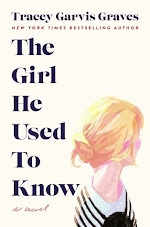 I will definitely be looking into this book. Wonderful review! Wow. You're right and I had no idea. That is allot of tragedy for one woman to endure. She always seemed so poised and graceful. Thanks for sharing what you learned. Great review, Christina! I have always been pretty fascinated by Jackie O and have always meant to read a book all about her, but haven't yet. I think I might start with this one. She was one great lady, and had great style too! I watched the first episode of The Kennedy's last week and enjoyed it - will definitely be watching the rest!